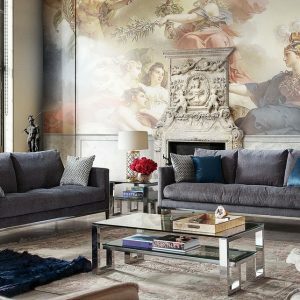 Add a contemporary vibe by bringing in this sophisticated collection. 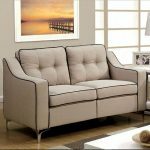 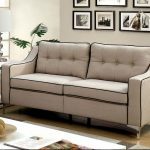 A contrasting welt trim tracing the edges of the slope track arms and coil spring filled cushions adds to the visual appeal of this set while tapering chrome legs provide plenty of style and support. 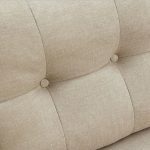 Prominent button tufts decorate the back fitted pillows for a final touch, certain to draw attention and praise.